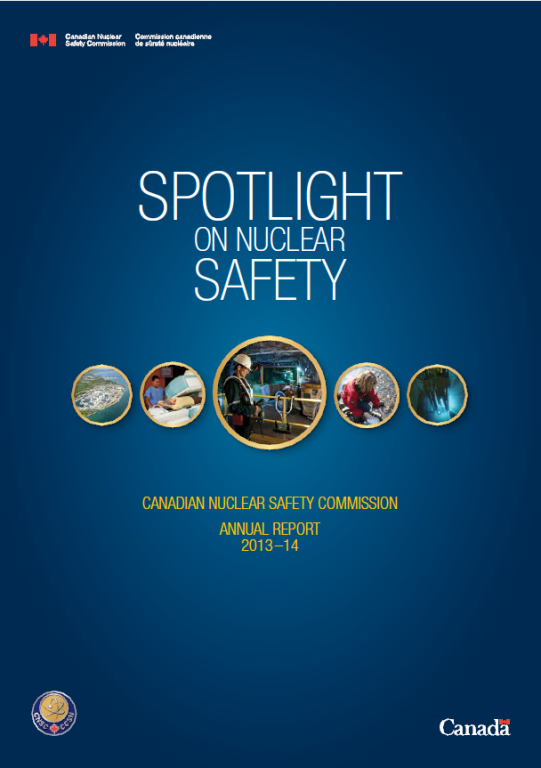 The Canadian Nuclear Safety Commission (CNSC) annual report provides an overview of Canada’s nuclear industry and the regulatory activities that the CNSC undertakes to ensure Canadians’ safety. It highlights the organization’s many accomplishments over the fiscal year, at home and internationally, and explains how the CNSC is meeting its day-to-day responsibilities and positioning itself for the future. It reinforces the CNSC’s commitment to become the world’s best nuclear regulator.